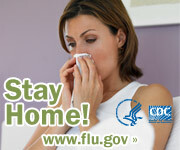 Home > Health > Swine Flu in Maine. The H1N1 virus that caused the pandemic of 2009-2010 is now a regular human flu virus and continues to circulate seasonally worldwide. 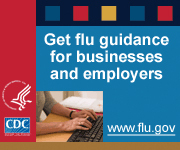 2009 H1N1 Flu Vaccine by Center for Disease Control. May 1, 2010. "Mainers can learn lots of lessons from experience with H1N1 epidemic". By Dr. Dora Anne Mills, The Portland Press Herald. April 1, 2010. "Maine Among Top States for Swine Flu Vaccinations". Maine Public Broadcasting Network. January 15, 2010. "Thousands of high-risk kids missing 2nd H1N1 flu doses". USA Today. October 19, 2009. "Swine Flu Spread Called Unprecedented". MyFOXMaine.com. October 19, 2009. "Going Viral". The Wall Street Journal. October 10, 2009. "H1N1 Deaths Among Youths Rise as Epidemic Spreads". The Washington Post. October 4, 2009. "Vaccine Is On Its Way, But Public Still Wary". The Washington Post. October 2, 2009. "Swine flu vaccine arrives, and the scramble begins". USA Today. October 2, 2009. "Is swine flu covered by travel insurance?" USA Today. October 1, 2009. "Nasal Spray Flu Vaccine Becoming Available". WMTW TV 8. September 19, 2009. "First group of Mainers likely to get swine flu vaccine in early October". Morning Sentinel. September 19, 2009. "State outlines priority list for getting swine flu vaccine". Portland Press Herald. September 18, 2009. "H1N1 continues to spread, over 100 report symptoms". The Bowdoin Orient. September 2, 2009. "Gov. Baldacci proclaims civil emergency due to H1N1". Bangor Daily News. August 28, 2009. "As students arrive, so do H1N1 fears". Bangor Daily News. August 21, 2009. "No Side Effects So Far in Trial of Swine Flu Shot". The New York Times. August 21, 2009. "Summit prepares officials for possible outbreak of swine flu". Morning Sentinel. August 19, 2009. "York County man first in Maine to die of swine flu". Seacoastonline. August 18, 2009. "Insurance Companies Agree to Cover Swine Flu Vaccinations". Maine Public Broadcasting Network. August 13, 2009. "National Guard drill at high school to prepare for possible H1N1 riot". Sun Journal. August 3, 2009. "Schools prep for spread of swine flu". USA Today. August 1, 2009. "Maine preparing 'mass vaccination' of students." Morning Sentinel. July 11, 2009. "State plans big push to combat swine flu". Bangor Daily News.